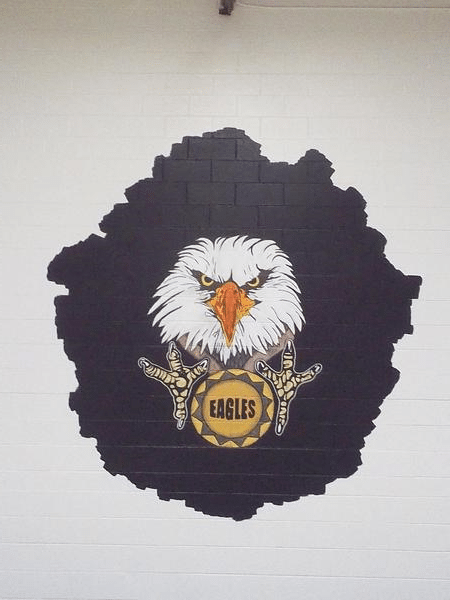 Painted this mural for north junior high school gym. With the help of my friend Gina. 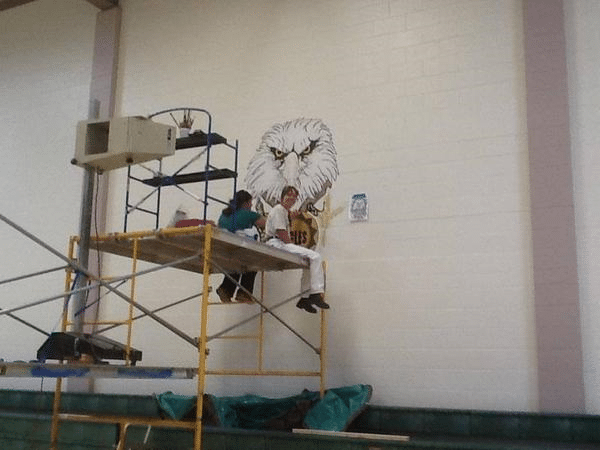 It was quite the project….3 scaffolding high. Took us 1 week to accomplish. 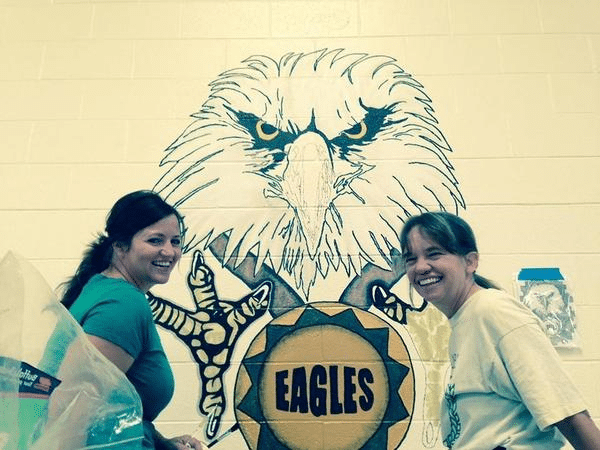 We can hand paint a mural for your school or organization. Just let us know what you would like.